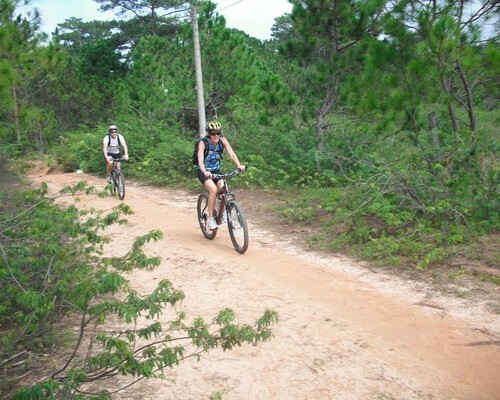 If you just have one day in Da Lat but still want to do more than one activity, Dalat Tourism Group very pleased to offer you a multi-color trip: “Hike and bike to the LanBiang mountain”, a healthy, active tour that is very good for our environment. Depart at our office, we cycle about 12km on a picturesque road through flower and vegetable farms down to the foot of the LangBiang mountain. After parking our bikes there, we’ll climb up to one of the highest mountains in the south of Vietnam ( LangBiang peak: 2167 meter), this awesome challenge not only tests your legs but also your knees when you descend and ascend from hill to hill, you’ll see how the Eco-System changes from forest to broad-leaf jungle, have chances to watch some precious animals around the area. 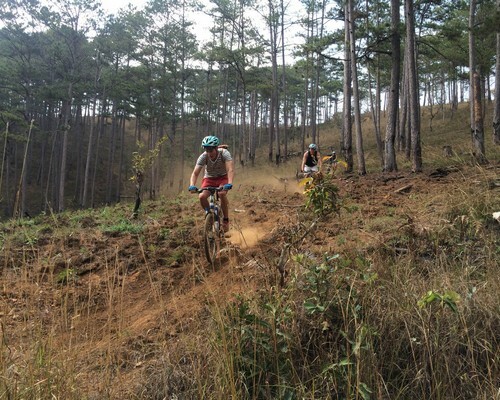 On your way back to Dalat, we’ll cycle to the Lat village to know about the ethnic minority people’s handicraft and their lives.We will always provide stunning photo opportunities to remind you of probably the best day in Vietnam.